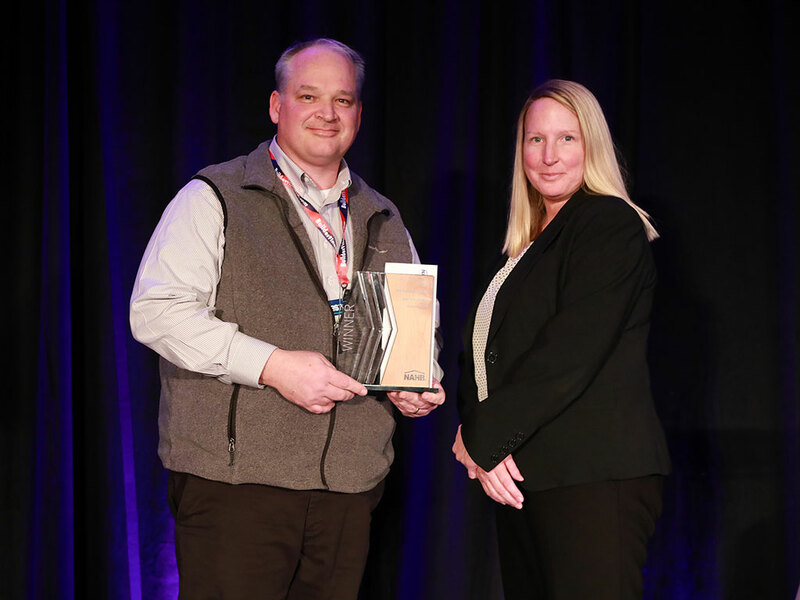 CEDAR RAPIDS, Iowa (March 1, 2019)-Kirkwood Community College Associate Professor of Construction Management Joe Greathouse was awarded the National Association of Home Builders (NAHB) Outstanding Educator award at the 2019 NAHB International Builders’ Show in Las Vegas in February. The award recognizes and encourages high quality standards in teaching construction education. Educators are recognized for their voluntary extracurricular activities, including those with construction industry organizations, as well as their construction experience and professional initiatives. The award comes as no surprise to Kirkwood Dean of Industrial Technologies Dan Martin.